Havana, 11th December: (Read this in Spanish). 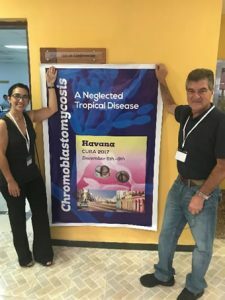 Alongside the 80th anniversary of the Cuban Tropical Medicine Institute, 200 scientists and doctors sought common actions to reduce the stigmatizing burden of chromoblastomycosis. 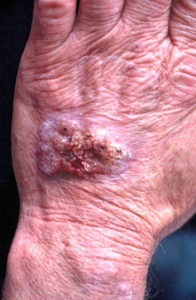 This persistent and progressive fungal infection is usually caused by a trivial injury, usually on the leg or arm, and has recently been recognised by the World Health Organisation (WHO) as a Neglected Tropical Disease (NTD). Often it is untreated for months or years, and patients develop cauliflower like growths which are difficult to eradicate. Chaired by Dr. María T. Illnait-Zaragozi from Cuba and Professor Flavio Queiroz-Telles from Brazil, an international group of speakers over-viewed all aspects of this disease. Chromoblastomycosis is widely distributed, and can occurs in temperate zones on occasion. Many countries have yet to report cases, especially in Africa, which is indicative of a lack of diagnostic capacity. The fungi that cause it, have a highly characteristic appearance in tissue, if examined, but are slow to grow in culture and can be difficult to identify. New and rapid molecular tests are being pioneered in Madagascar where the disease appears to be especially common. Treatment is partially effective, but is long term and unaffordable for most patients. A final session addressed the public health issues with contributions the Global Action Fund for Fungal Infections (GAFFI). 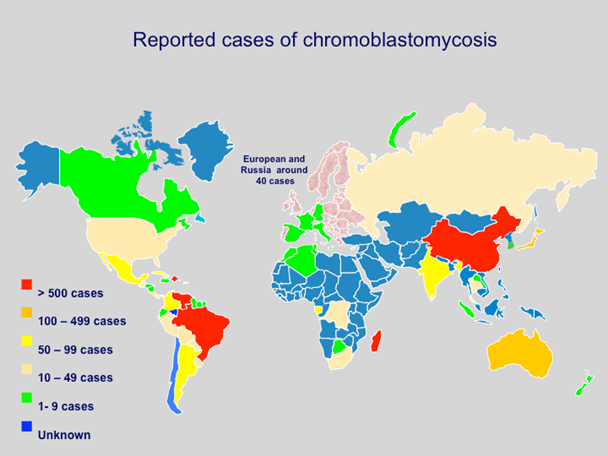 Capturing epidemiology data, and in some countries linked with mycetoma and sporotrichosis, it was extensively discussed and plans agreed for China, Mexico, Cuba and Ecuador.